Your Fort Worth dentist Dr. Cabal is sensitive to the urgent needs of his patients. If you or your child encounters an orthodontic emergency, he will accommodate you as quickly as possible. In the meantime, read on for Dr. Cabal’s tips for dealing with orthodontic mishaps. Loose Bracket or Band: If your bracket or band becomes loose, leave it in its position but place wax on it. If the wire completely comes out, wrap the bracket with tissue. Loose Wire: If a wire on your braces becomes loose, use a pencil eraser to shift it downward or apply wax to it to prevent it from poking you. If this fails, try using tweezers to push the wire back into its proper spot. Sore or Tender Mouth: Braces, like headgear, also involve an adjustment period. 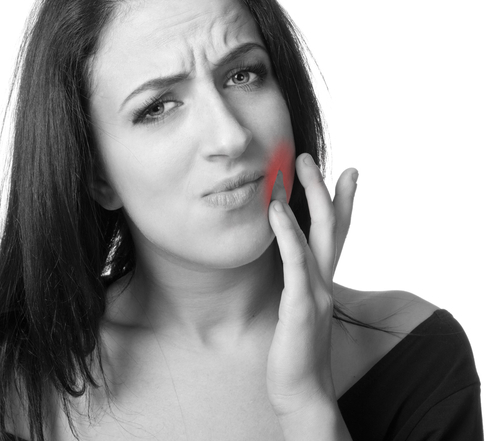 Some patients report that after they initially received braces, they experienced sensitivity when biting down. This feeling will quickly dissipate after a short time. Dr. Cabal suggests taking acetaminophen or rinsing your mouth with warm salt water to relieve this beginning discomfort. If your cheeks, tongue, or lips become sore after receiving braces, try placing wax on the braces where it is irritating your mouth. Please call our office if you have questions about how to use wax to do this.